What is a Collection Agency Bond in Arizona? A Collection Agency Bond is a type of license bond. The purpose of the bond is to protect the state or governmental entity for certain things, such as the payment of taxes. How Much does a Collection Agency Bond Cost in Arizona? We make it easy to get a Collection Agency Bond in Arizona. Fill out the form above and we’ll get right on this for you. Then we’ll get the Collection Agency Bond right out to you. Easy. License bonds and permit bonds are essentials needed by a government body. The license and permit bonds help the government body to prove that a particular party or business will follow all the important regulations set by the government with regard to procedures. Every professional in every occupation has to get the bonds before beginning their business. These bonds provide the government a guarantee that all governing rules set related to their business or profession is effectively adhered to. Should a bondholder fail to follow the laws and regulations, it becomes less difficult for the government’s judicial body to identify him or her. Acquiring these bonds is therefore necessary for any professional or company who wants to begin a company. On this article, we help explain some facts about license and permit bonds, including how to get a permit bond. 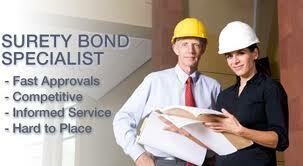 The most common type of bond is the license and permit surety bond. Bonds are essential factors that a lot of specialists or businesses need to keep in mind before their organizations. Before any company or professional starts their operation, it is essential to get a license to operate first. Before beginning your operation, it’s important to understand first the demands of the government related to your business or profession. The license to operate doesn’t just approved your business or professional operation, but also clarifies the requirements that must be followed with regards to your operation. These bonds explain all the governing rules that you need to comply with, helping you avoid the considerable consequences that you could face when you violate them. With the aid of a license and surety bond, it will be less difficult for you to acquire an authority to operate in Kansas. One major illustration of a license and permit bond is the contractor license bond. Having a performance bond is essential in order to get a assured, quality assured infrastructure project. When venturing into a construction project, it is only sensible to ensure that you’ll get the exact results that you will need from a trustworthy contractor. The construction will be successful in a lot of cases because of the indemnity of a performance bond. If the project is not completed, however, you’re still assured to obtain compensated for a particular percentage of the project cost and have another contractor to carry on the project. The bond defines the amount of compensation that you will need. Do you know the benefits of obtaining a license and permit bonds when interesting a specialist or company to a specific project? Based on the requirements of the government, there are certain rules and methods that must be followed in doing a systematic work. Let us take for instance a construction project, the systematic flow of processes are identified in the license bonds. The contractor who is engaged to this operation must then follow this system. Permit bonds serve as an insurance to customers who involved specialized help. It means that the consumer will be paid out for a particular percentage of the project should it fail. If a specialist is unable to give what he or she promises, you should sue his or her bond and you will get settlement totaling to the bond’s specifications. Obtaining a permit bond, these days, is very simple to do. If you plan to apply for a permit bond online, here is useful guidebook for you to follow. To be able to get a permit bond, you have to find an approved provider first so that you’re guaranteed that it is legit. You could use any device with Internet capabilities when accessing online permit bonds application forms. Your application will be processed right away when you hit submit after filling out the entire form. Stick to the guidelines when filling out the form so that you won’t have any problem with the application. If the fields are required to be filled, make sure to fill them out. After submitting an application, you are going to get quotes. This indicates the amount that you should pay in relation to the bond you would like to get. Once you have made payment with the issuing company, you could now get your bond. As mentioned earlier, the rate that you are going to pay for the bond will depend upon its type. When you receive a bond worth a specific amount, you will not pay that amount. The most common rate is about 1% of the insured portion mentioned in the bond. In case of non-compliance to provide what they need, the bond allows your consumer to file a case against you. Therefore, the government requires that you provide a sort of insurance for your consumers by spending money on a bond. You must follow all the regulations presented by a government. Use the appropriate means to obtain what you’ll need for your business to thrive and receive a license or permit. See our Arizona Contractor’s License (Commercial General or General Engineering Contractor) Bond page here.